Gah, I’m already falling behind on posting! This was my Tuesday bento. We had spaghetti for dinner on Monday night and although my family has eyeball allergies when it comes to whole wheat pasta, there’s nothing stopping me from boiling some up for myself the next day, so that’s what I did. I can’t honestly sit here and type that whole wheat pasta tastes amazing because it’s just… not, really. Hahaha! 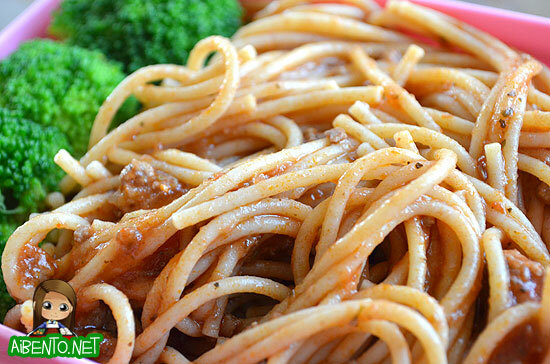 It seems to take forever to cook and you can of course taste the graininess in the noodle when eating. Even so, it’s not like it’s bad. 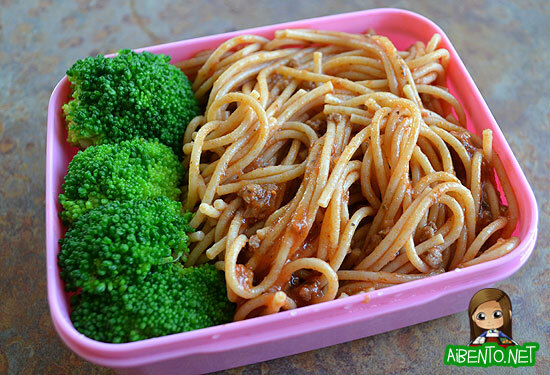 As far as bentos go, this one is obviously very blah, but it filled me up and the broccoli was a nice veggie side. I’d normally cut up cheese in tiny shapes, but thought maybe I’d better just leave the cheese off since I’m trying to cut here. Baby Girl is doing 30 Day Shred with me (in her own little girl way) because she’s a darling and wants to get fit along with Mommy. She’s done it both days that I have and is paying the same price as I am when it comes to sitting up in bed in the morning or walking down stairs, but I really admire her making the effort.